Dojo Learning Creator is an e-learning service of Dojo Learning LLC, currently based in London and Dubai. We make it easy for ANYONE to create, share and even sell their courses online without any technical knowledge! You can read ALL about us below and reach us through the contact form and info below that. Also known as ‘The Joint Venture Expert’ Sohail previously built an 8 figure e-learning company which he sold to a $160 million IT Group in 2006. Sohail has re-entered the elearning space using his skills in business to re-ignite his passion of building another successful e-learning business. 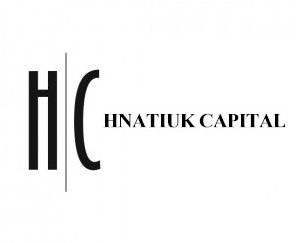 Hnatiuk Capital are the lead investors for Dojo Learning with plans to create a GLOBAL platform for anyone to take advantage of one of the fastest growing areas of education online through e-learning to create an unlimited learning space and multiple revenue streams. And here is a link to our intro video on YouTube and an OPML file for our blog and Twitter feeds. Thank you very much for taking an interest in Dojo Learning, your help is much appreciated! Out of 5,000 worldwide applicants Dojo Learning Creator™ will be featured as an APLHA Start-Up winner at the WebSummit 2013 in front of some of the BIGGEST tech investors in the world! Dojo Learning ranked in Top 20 Educational Web Traffic Growth Sites 2014! Dojo Learning Creator makes it easy for anyone to create, share and even sell their courses online in minutes without any of the technical knowledge. Companies and colleges can also use Dojo Learning Creator's simple LMS (Learning Management System) to train, test and track clients and employees easily!